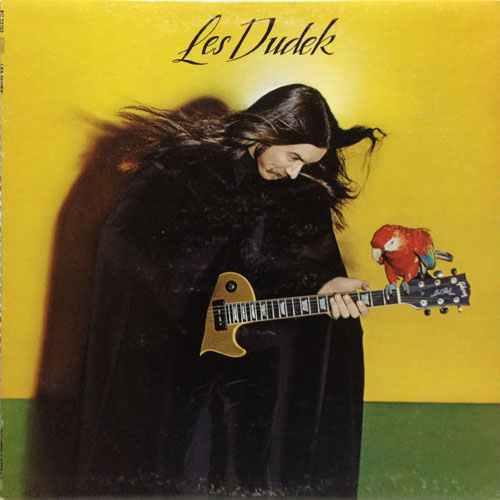 Les Dudek is American guitarist Les Dudek’s 1976 self-titled solo debut album. Steve Miller covered “What a Sacrifice” on his album Book of Dreams as “Sacrifice”, which included Dudek and James Curly Cooke in the recording. His early releases strongly influenced by the Southern rock style of the Allman Brothers Band – slide guitar and dual drummers on a few tracks. Les was one of the replacement considerations after the death of Duane Allman. He is said to have had uncredited contributions to “Ramblin Man” and “Jessica” and was part of the recording. Influence from his work with Boz Scaggs adds a flare of funky jazz.